I smoked a Ghurka Ghost that was part of a sampler pack I bought at a local cigar shop, I just loved it, very smooth and easy to smoke, even compared to the other Ghurkas I have tried. However i cant seem to find this in stock anywhere?? Does anyone know of similar cigar to this one? or can recommend something? Be still my heart!!! Someone besides me admits to smoking an occasional Gurkha. Slowly but surely, you will all come out of the closet! Just remember a strong smoke normally refers to the nicotine content and sometimes to the boldness of the flavor, so strong is relative to how much nicotine you can handle. Strong cigars to me rarely come off as strong since I have such a high nicotine tolerance. Not terribly expensive, good taste, but can have a funky burn, so you light have to touch it up a few times. A lot of the strength, comes down to pallet for me. Just because a cigar is a full cigar, doesn't mean that's how your taste buds will always read it. It's good to sample a few. I find the best is to buy samplers with 2 or 3 of the same thing, so you can try one and another. You will find while just starting out that your taste buds will change the more you smoke. I've had cigars I have hated become ones I've liked after spending a couple years now smoking them in general. I only have had 1 good Gurkha, and I've sampled quite a few. Red Witch, though it won't say Gurkha anywhere on it. But it's a very good tasting cigar imho. And it's not that Gurkha is bad, they just tend to have very 1 note cigars. And that note is usually cedar. I've found that Gurkha is highly over-priced for the kind of cigar you get. And as such they are not something I would buy unless highly discounted. I think most people on this board feel that way. Some time last year there was a big rant about Gurkha cigars. The best advice I can give you is don't look at the price tag when purchasing a cigar. And don't assume just because a Cigar has a high price tag that it is better than the rest. Some of my favorite brands are on the cheaper end of things, 5 Vegas and MOW, just to name a couple. Find what you like, and don't be dissuade by someone else saying boo about it. At the end of it all, it's about what YOU like. Not them. And if you need anything, this is literally the best group to get advice from. The guys here rock. @wyowolf , many of us have had LOTS of construction problems with Gurkha's, and we tend to stay away from them. As @Crisius pointed out, many Gurkhas are one-trick-ponies. 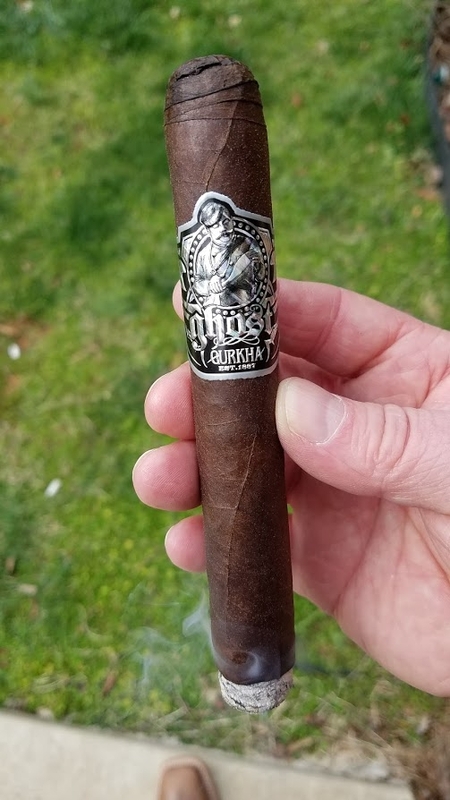 The thing is, when you get a good one, they tend to be really good, but there are so many to choose from that it makes a person reluctant to purchase what may very well be just another exploding Gurkha. Gurkha's marketing always pushed me away, so I never did try them. Jacked up msrps. I did hear that the Ghost was really good, but still the construction issues I didn't want to chance wasting the money when there are others that always smoke good. thank you all for the advice, is there another cigar you can recommend that would be similar? I hadnt noticed any "construction" issues with the two I have tried, "Ghosts"..
Don't know you're budget or what you're paying for those but if you are on a roll with good ones don't let us turn you away. That's not what this is about. Smoke what you like. Well sort of on a budget.. I have trouble paying more than 13 or 14 per stick... thats sort of why i hate to buy in bundles unless i know i really like something, I would def get a bundle of the Ghosts... the guy was selling for 6.96/8.95. The Ghost was better when it was a B&M only cigar. Like the Seduction. If your comfortable paying 13 to 14 a stick you can pretty much buy 99% of anything on the market. And yet you choose gurkha? To each their own my friend. Arnold Palmer could afford any drink he wanted but I believe it was Makers Mark that he chose regularly. Others were ok but those are the ones I'd smoke again. Never had the Ghost so sorry if I can't offer any comparison.